Over the weekend, local San Diego streetwear staple Gym Standard released their first signature sneaker as part of the Vans Originals line, the #30ECBVANS OG Old Skool XL. Anticipation was high as the first preview of the sneaker surfaced online, so it was no surprise that San Diego collectors lined up early Saturday morning to secure their pair. Within hours, the collab was fully sold out. 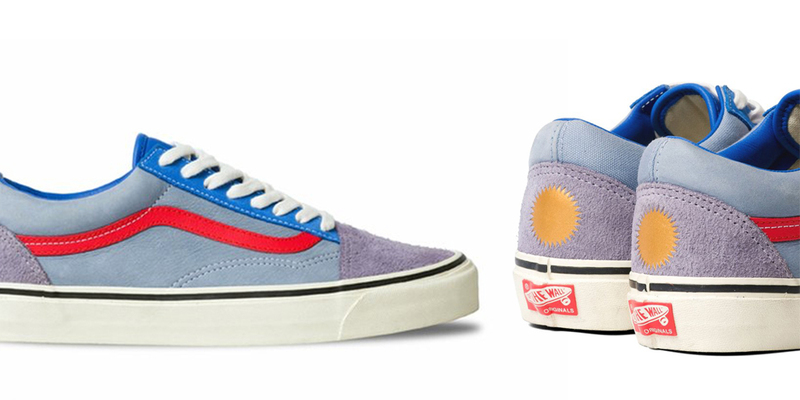 As a self-appointed “California Boy” (♪I’m just a California boy…♪) and someone who spent six years working at various Vans retail stores across Southern California, I’ve seen my fair share of Vans styles and colorways come and go: Syndicates; Vaults; the California Collection; the OTW Lin; Vans ranging from $19.99 bargain deals you can find at outlets and discount chains all the way to the Raf Simons x colette Meets x COMME des GARÇONS 2005 Japanese exclusive. There are pairs floating around the market for about $2500. With that said, Gym Standard’s release was definitely something special. The shoe is a unique take on the timeless (and my personal favorite) Old Skool silhouette, featuring a variety of materials on each of the shoes panels. The lateral panel features nubuck, while sporting 8oz canvas on the medial side, both donning a red jazz stripe. The toe and heelcaps both have a nappy suede, while the collar and tongue features a bold blue kidskin material. Each shoe is sure to age uniquely with wear and tear. The box is emblazoned with both Gym Standard and Vans branding, as well as artwork by tattoo artist Sergio Hernandez. This collection stands as not only a highlight in the sneaker world, but an important piece in the history of San Diego arts & culture. Here’s to a successful, sold-out release by both Gym Standard and Vans, and to hopefully many more collabs to come.